Then, using a pair of tongs, put the partially cooked microwaved potato in the oven and continue cooking it for about 1/2 hour. Stick a paring knife in the potato to check for doneness. If it is still hard, continue cooking until tender.... I always part cook mine for 5 mins in the microwave (don't forget to prick them 1st) I then put them on a skewer (this gets heat into the middle of teh spud quicker), coat in olive oil and sprinkle a bit of rock salt and bake in a hot oven for 45 mins or so. Scrub potato clean then dry it off with a clean towel. Poke potato with a fork 6-10 times, all around potato. 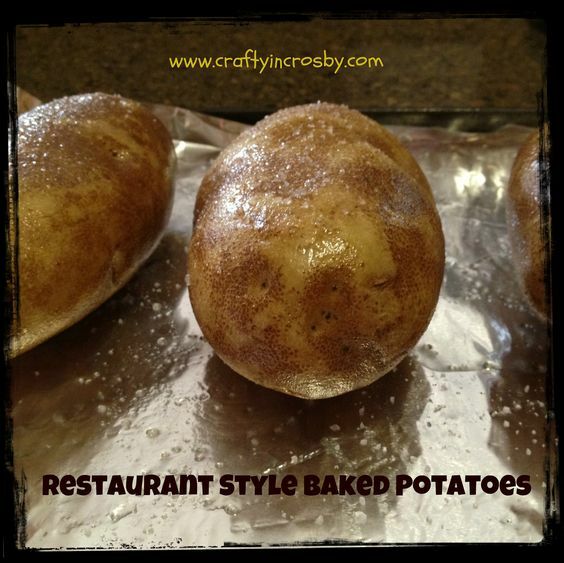 Place potato in microwave safe bowl and cover with plastic wrap.... Then, using a pair of tongs, put the partially cooked microwaved potato in the oven and continue cooking it for about 1/2 hour. 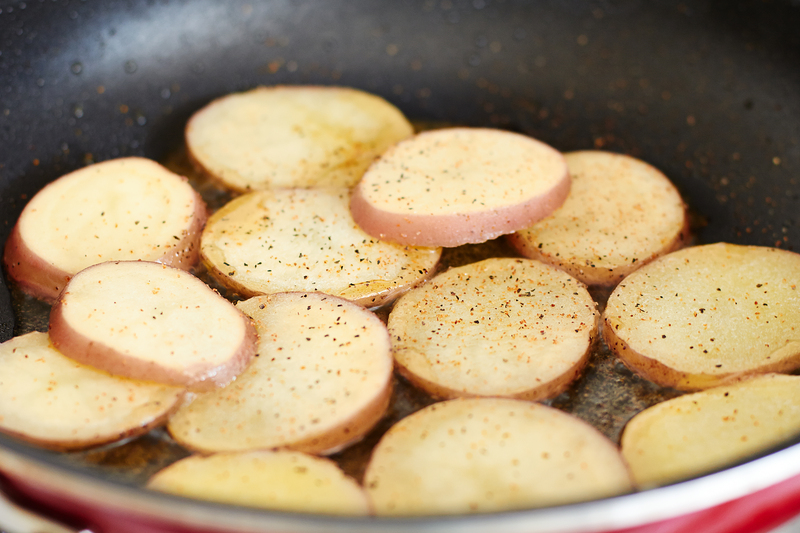 Stick a paring knife in the potato to check for doneness. If it is still hard, continue cooking until tender. I always part cook mine for 5 mins in the microwave (don't forget to prick them 1st) I then put them on a skewer (this gets heat into the middle of teh spud quicker), coat in olive oil and sprinkle a bit of rock salt and bake in a hot oven for 45 mins or so. how to add delay to the sytrus Trusted Results with Microwave then oven baked potato recipe. Microwave Baked Potato - All Recipes. 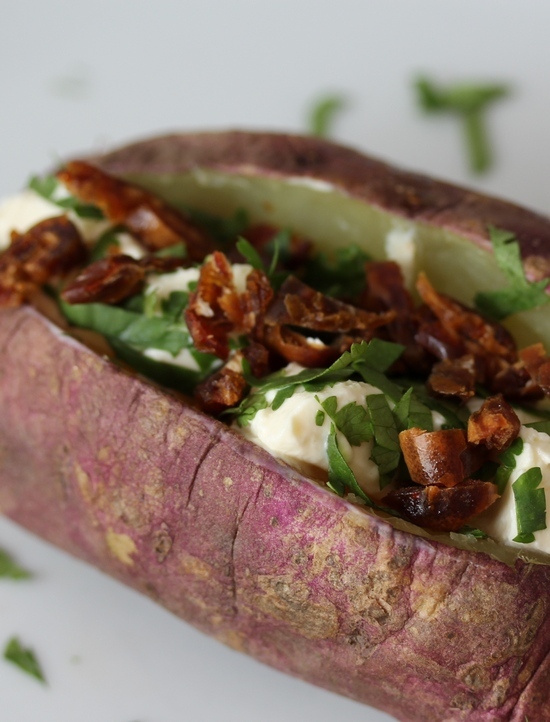 If you want the yummy taste of nice slowly baked potato, but aren't patient enough, or don't have the know how to bake it in an oven, well this is for you. I par cook for 5 minutes in the microwave then oven bake for 30 minutes at 200c or do a combination bake/microwave for 15-20 minutes (not entirely sure exact timings, got a new oven and still working it out!) but the principle should work:). I prick the skins and cook them in the microwave for 10-12 mins until they're are soft, then cover the skin with some oil (olive/vegetable) and spinkle a bit of the salt on the skins then put them in the shelf for about 15mins on about 180-200 and the skins go golden and crispy.